Built in 1974, Joseph Roty II makes part with Victor Pleven and Capitaine Pleven II of a serie of three vessels built in Gdynia in Poland for the Comapêche. After the ban on the cod fishery for french in Newfoundland in 1992, Comapêche SA has maintained only that boat on the three. The Joseph Roty II was then converted for a new type of production. It is now the only European boat equipped for the production of surimi-base. This factory freezer trawler-90 m long, makes several times a year to a campaign of blue whiting fishery in the North Atlantic. 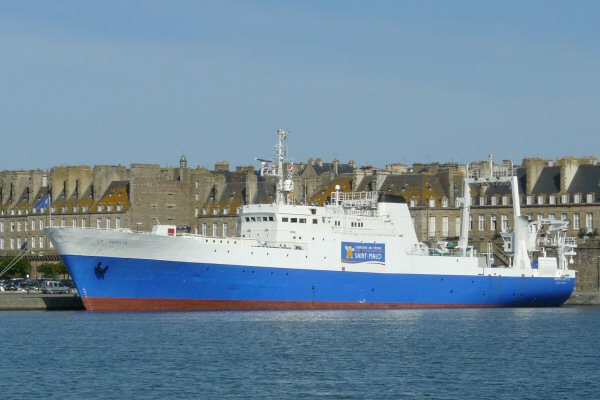 She suffered in 2004 a new overhaul to modernize its production facilities of surimi-base and was repainted in the colours of the Compagnie des Pêches Saint-Malo, new name for Comapêche.